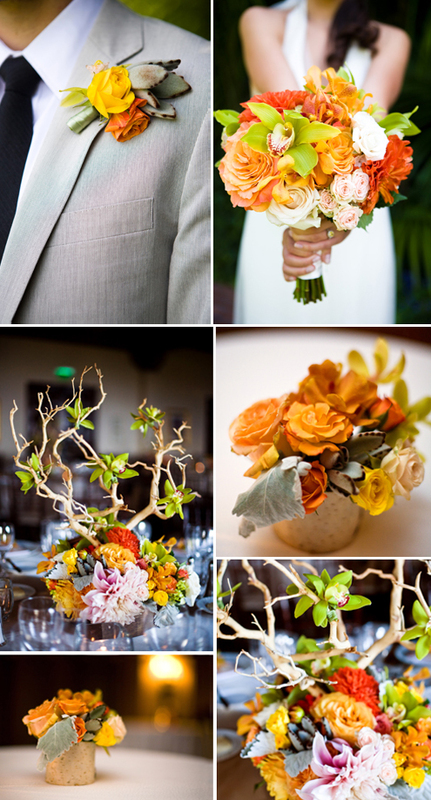 Oh so orange can be oh so beautiful, especially in late summer and fall weddings. Today we're picked a few orange palettes that go way beyond fruit inspiration. Spitz & Peck created this sophisticated array of orange anchored wedding flowers for a Spanish style wedding. 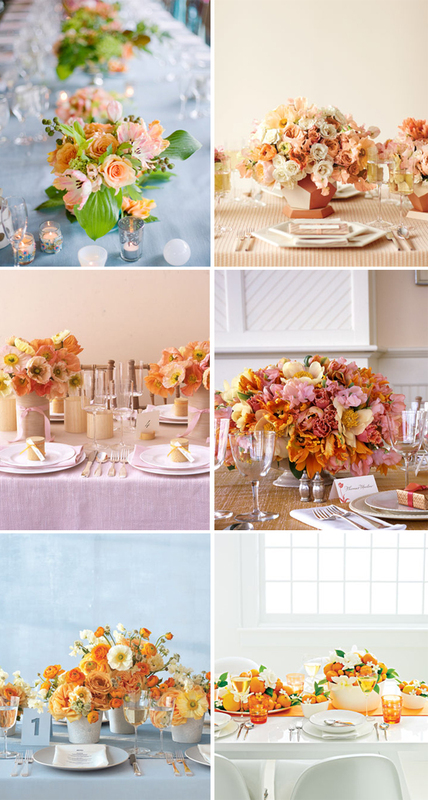 Then we headed over to Martha Stewart to find a few soft hues of orange goodness perfect for your wedding day tabletop.